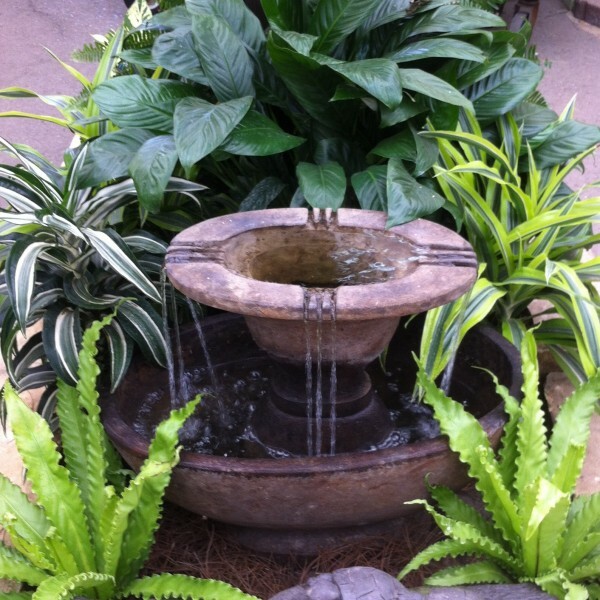 A fountain or birdbath in your home or garden adds soothing sound, plays on light, and is enjoyed by birds and butterflies as well. Available in many shapes, sizes and styles for any situation, they can be made from cement, cast stone, light weight resins, pottery, or glass. Our selection will vary throughout the year: stop in to see what is currently available.